Auramar Beach Resort sits overlooking the ocean waves in the tourist capital of sun-soaked southern Portugal. If you're after a holiday of relaxation, family-fun, and mouth-watering meals; this is the hotel for you. Each day starts with a buffet breakfast and ends with wine and worldwide cuisines for dinner. 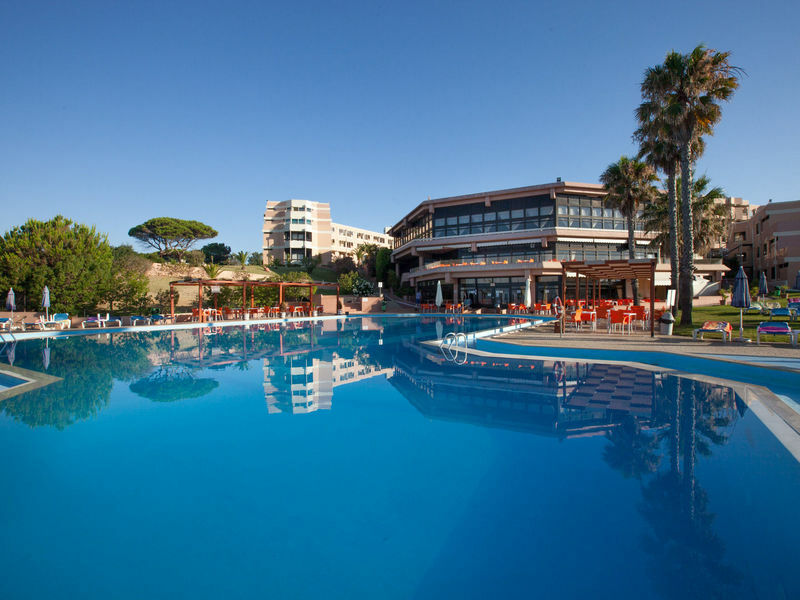 Spend your time relaxing by the crystal-clear pools, rising only to grab an ice-cold drink from the bar. The kids will love the playground and active children's club, or you can all walk out for a day on the sandy beach in a matter of minutes. The entertainment programme here is jam-packed with games, activities and performances - ideal for enjoying both day and night. 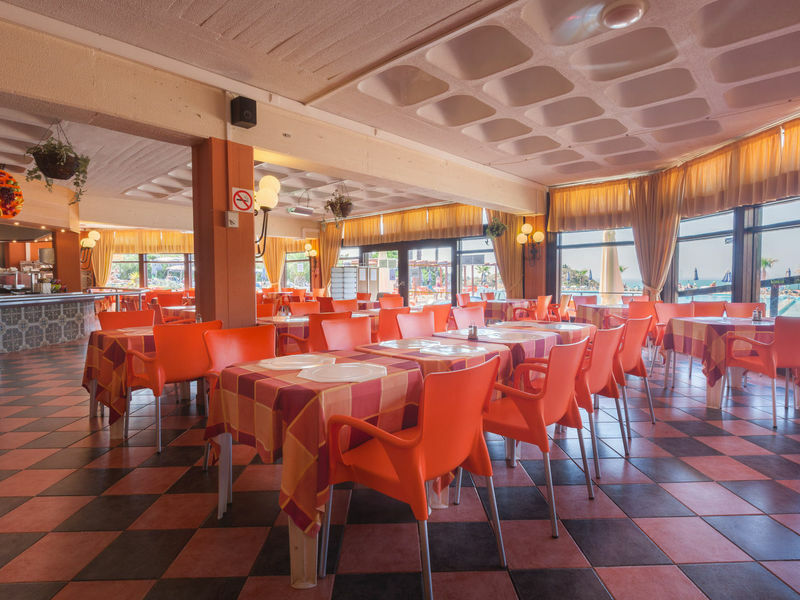 The lounge bar is always fully-stocked with wines, beers and spirits for a merry evening, and Albufeira's lively night-life waits just footsteps away too. 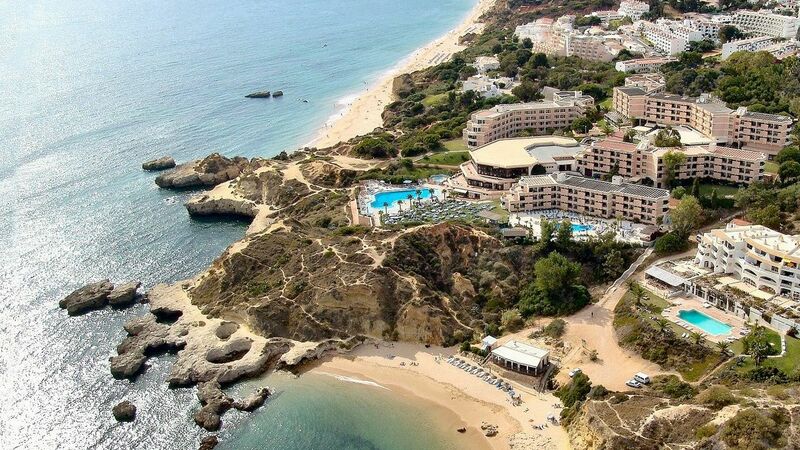 For a stay in Portugal's holiday hotspot, try Auramar Beach Resort. 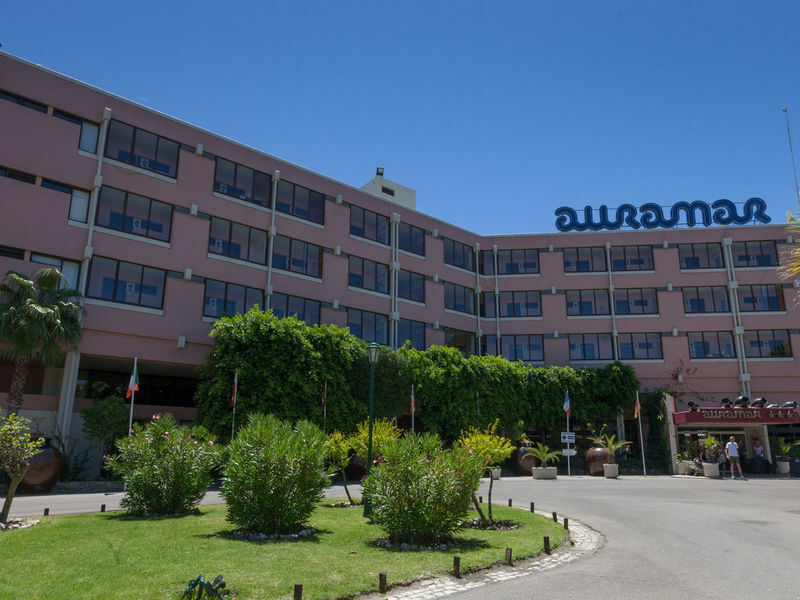 Auramar Beach Resort features: a buffet restaurant, pool bar, snack bar, lounge bar, two adult swimming pools, parasols, sun loungers, sun terrace, indoor pool, and Jacuzzi. Other facilities include: two tennis courts, sauna, Turkish bath, massage room, fitness centre, games room, gift shop, billiards, table tennis, and minigolf. Kids also have a mini club, playground and two swimming pools. 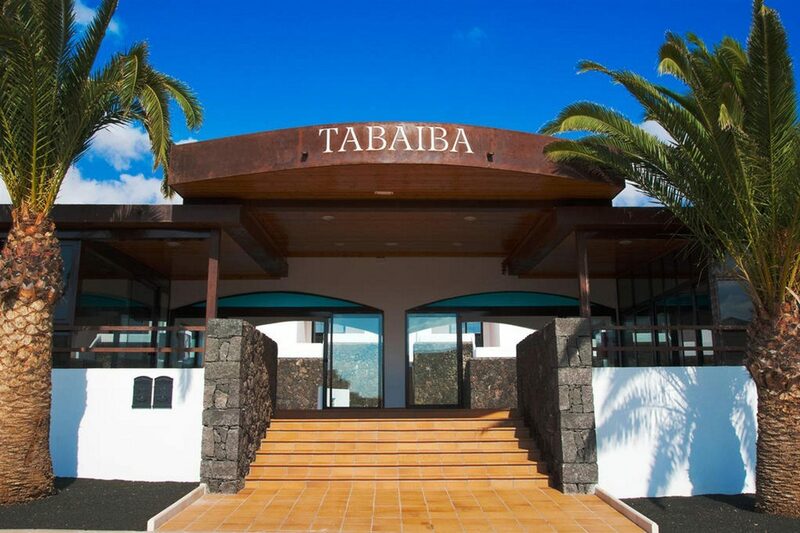 The 24-hour reception provides: babysitting, laundry service, dry cleaning service, safety deposit box, currency exchange, bike and car rental, and tour assistance. Complimentary Wi-Fi is also available in the lobby area. 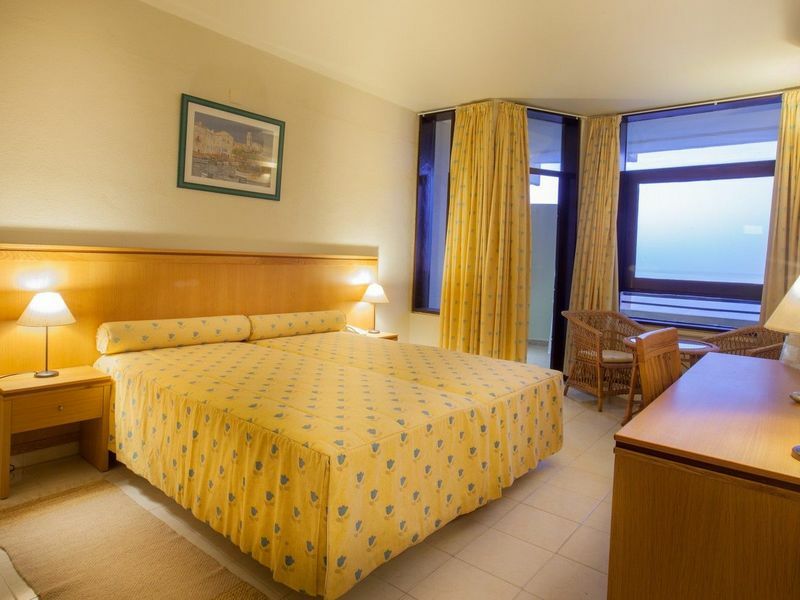 The hotel has a selection of guest rooms with views of the sea. Each one includes: TV, safe, balcony, telephone, air-conditioning, and daily housekeeping. You can also request a hairdryer, and an iron and ironing board, if needed. The buffet-style hotel restaurant serves a huge range of international foods throughout the day and evening. Enjoy with local beers, wines and soft drinks. In the afternoon, you can get alcoholic and soft drinks along with a variety of light bites including chips, burgers and sandwiches from the poolside bar. The snack bar also serves teas, coffees, soft drinks, bottled water and ice cream. In the evening, head to the lounge bar for wines, beers, local spirits, and a selection of other beverages. The hotel animation team provides all your day and evening entertainment, along with occasional karaoke. There's also a supervised children's club. All a bit run down and penny pinching. Very strict for all inclusive and I use "all inclusive" sparingly! not much entertainment due to time of year, but could have had the bar open in reception area through the day so people didn't have to keep going up and down to the pool area when they wanted a drink. Clean and tidy. But entertainment not up to much. The all inclusive package food was fine but tend to think the drinks were very limited if you do not drink alcohol and the soft drinks were watered down. The only wi fi was in reception which was a bit annoying. Food average. All inclusive spirits like paint stripper. Rooms comfortable but badly in need of updating especially the bathroom. Many stairs although there are ramps and lifts. No hairdryer supplied. Although I have said the accomodation was good we were extremely disappointed with one of the beds in our room. There were 3 adultsin our room and we all paid the same price. However one of the beds was a folding bed and it was broken so it had a wardrobe door supporting it under the mattress. We went to reception and said that we wanted a proper bed because my son who is 20 is almost 6 feet tall and his feet were over hanging the bed and although they brought another bed into the room it was a folding bed with a dip in the middle and the receptionist said that all of the twin rooms only have a folding bed. we were not told this at the time of booking and we all paid the same price so we should have all had a bed suitable. I am going to email Jet2 about this because it really was not good enough. Mys son did not sleep well as his feet were hanging off the end of the bed. Clean and tidy though rooms could do with a bit of a facelift.